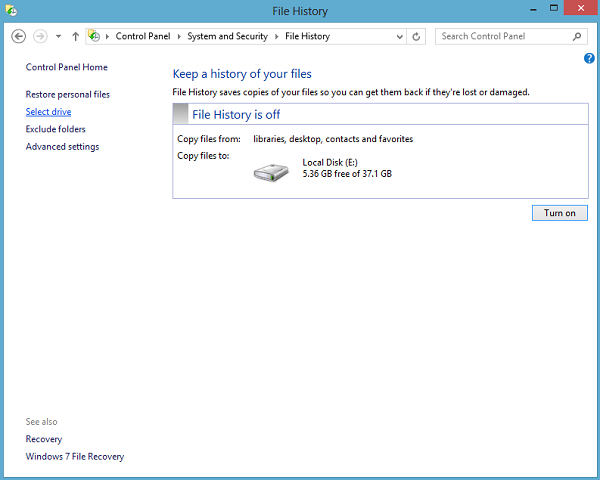 File History is a built-in, continuous backup tool of Windows 8. Its basic function is to periodically back up the User’s Libraries (Documents, Music, Pictures and Videos) to another hard drive. The target hard drive of this backup can be an external drive, a network share (such as a NAS device), or a Storage Space (Windows 8’s new RAID tool), the key being not to create backups on the source drive in any way. This ensures that users create actually safe backups. If unable to add a network location as a 'File History' backup destination, see Answer ID 2676: How to map a My Cloud or NAS device on Windows. 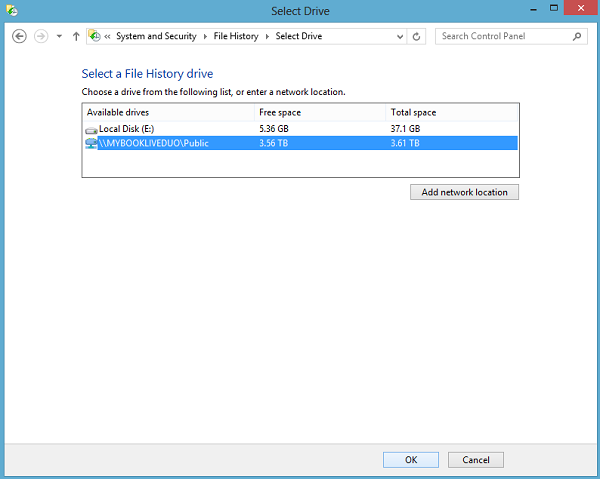 While Windows 8 File History is capable of backing up to a network location, this feature is not supported on a My Book World Edition (White Light) or a My Book World Edition II (White Light) network drives. 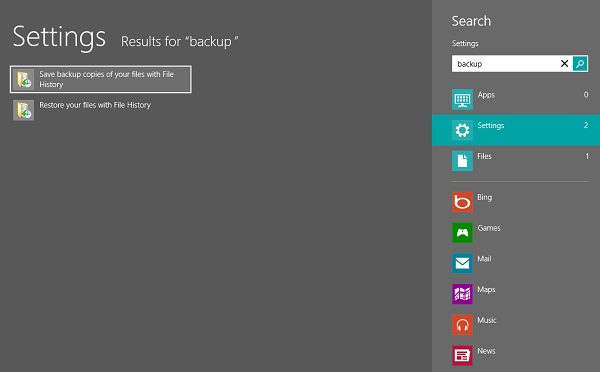 In the Start Screen (formerly known as Metro Start Screen), type backup. 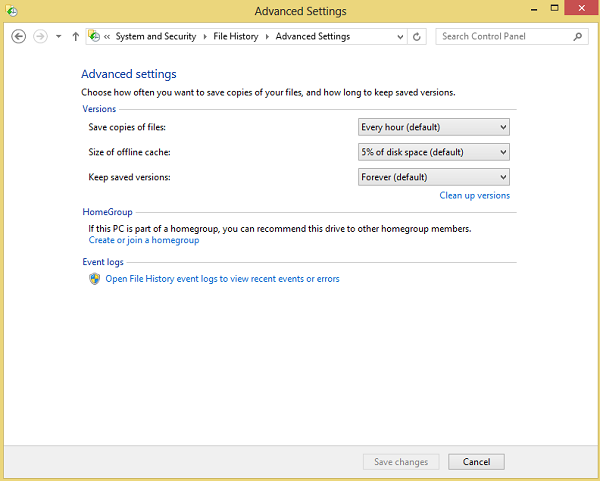 Select Settings from the right-hand menu and click on Save backup copies of your files with File History option. 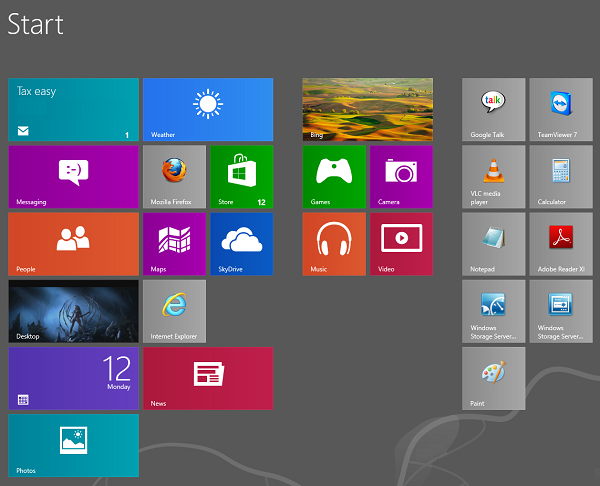 If you’re not using the Start Screen, you can also open File History from the standard Desktop Control Panel. Click on the Select Drive option on the left-hand side. Select the destination hard drive or network location that you desire and click Ok. Finally, click Turn on, and the File History process will be enabled and the Libraries will now be backed up. 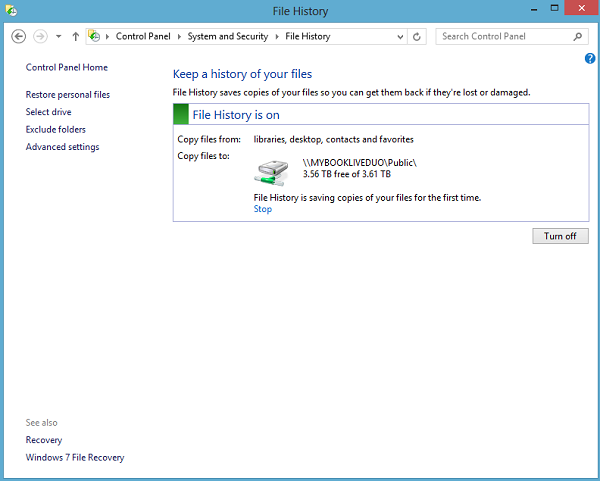 By default, File History backs up a version of your files every hour. In the Advanced Settings, however, this can be modified to be anywhere from Every 10 minutes and Daily. Also, the offline cache can be modified here (in case the external hard drive or network location is not available for the time being), as well as how long versions are saved, Forever being the default. 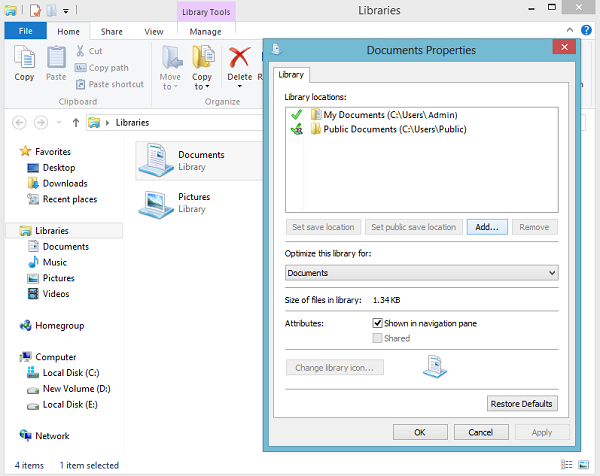 Adding a folder to a Library: This can be done by just right clicking on top of a Library (Pictures, for example), click on Properties, and click on Add. Then, select the folder that contains the desired files to be backed up. 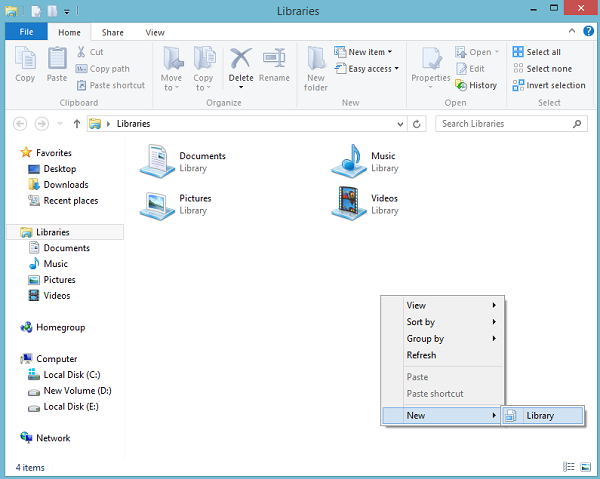 Creating a new Library: In the Libraries location in Windows Explorer, right click on a blank space, select New, and then Library. This Library can be named in any way and has the same properties as the original four Libraries.